Is Your House Full Of Unneeded Stuff Are You or Someone You Know A Compulsive Hoarder Are you ready to understand Compulsive Hoarding and how you can treat it Author Bowe Packer, has more than 20 do-it-yourself, how-to and self help books in print and audio format being sold worldwide. 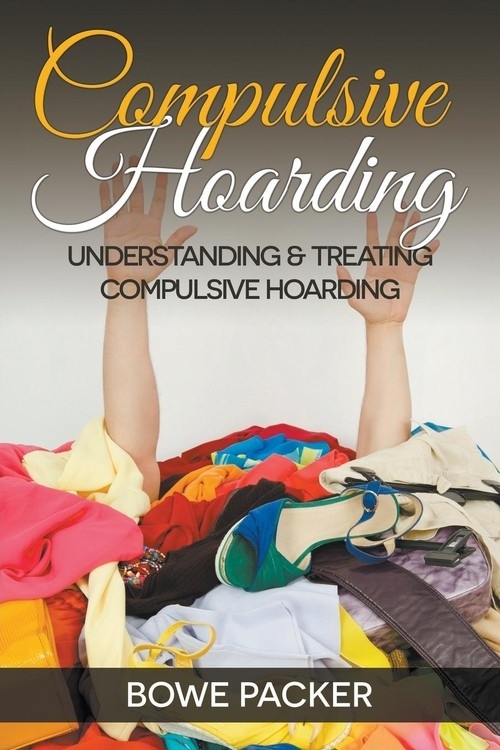 He has done it again, with his newest release -- Compulsive Hoarding: Understanding & Treating Compulsive Hoarding. This practical guide is designed to the fundamental aspects of hoarding disorders and simple, yet effective treatments for hoarding. Let's face it, you cannot heal your hoarding condition before you understand it and know of the help for hoarding that is available to you. * The Three Features of Compulsive Hoarding Behavior. * In Focus: Hoarding & Impairment. * The Warning Signs to Watch Out For. * The Four-Step Communication Model For Communicating With Hoarders. * Properly Forming the Core Support Team. Compulsive Hoarding is a debilitating condition and can be treated. Gaining the knowledge of hoarding disorders and applying a sound hoarding treatment plan will have you on your way to eliminating this condition once and for all from your life!.